Real Madrid are reportedly considering a summer approach to sign Eric Bailly, who has fallen down the pecking order at Manchester United this season. The Ivorian has struggled with fitness and form concerns during the course of the current campaign, and this has restricted him to just seven Premier League starts with just one of those coming in 2019. According to The Mail, Los Blancos boss Zinedine Zidane has urged Los Blancos to keep a close watch on the player's developments and they could make an offer, should the defender be available in the transfer market. Zidane is understood to have followed Bailly closely during the defender's time at Villarreal and the Frenchman believes the Ivorian has the credentials to fit into Los Blancos' ranks. 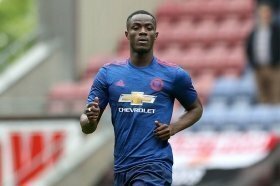 Bailly's current deal with United expires in the summer of 2019, and so far, there has been no indication from the Red Devils' end over an extension with the player seemingly keen on a fresh challenge.